Brandy was once associated with the older generation but a new wave of flavoured brandies is changing all that. The Three Barrels have blended their finest eaux de vie and added natural honey to create this great twist on an already loved brandy. The Three Barrels symbolise the optimum balance of eaux de vie, traditionally sourced from the three prestigious French wine regions of Burgundy, Bordeaux and Champagne required to produce the very best brandy. 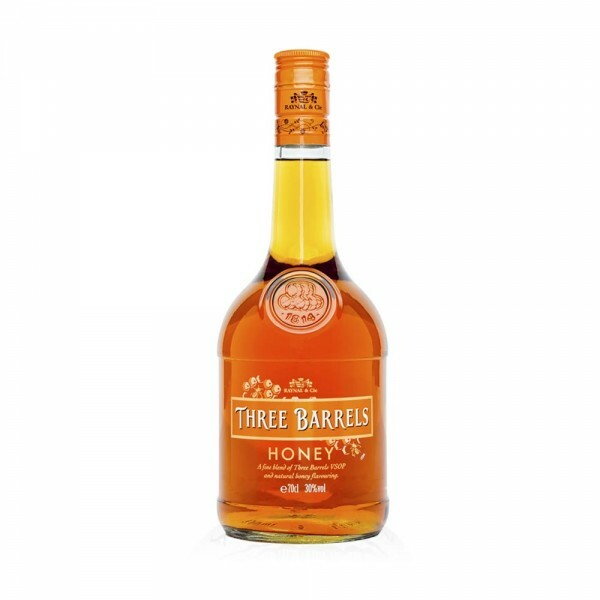 Three Barrels have expertly blended their VSOP (Brandy that has been matured for at least 4 years) and added natural Honey flavourings to create this smooth and mellow brandy liqueur.